Khaki was one of the hottest colour trends of 2017 and has continued its reign in 2018. With many calling khaki the new black, it has now reclaimed the runway of the streets with its relaxed and effortless yet structured and disciplined aesthetic. So for those starting to feel like their daily getup is getting a bit stale or finding themselves in a rut donning all black from head-to-toe, it’s time to rethink and inject some colour into your look. 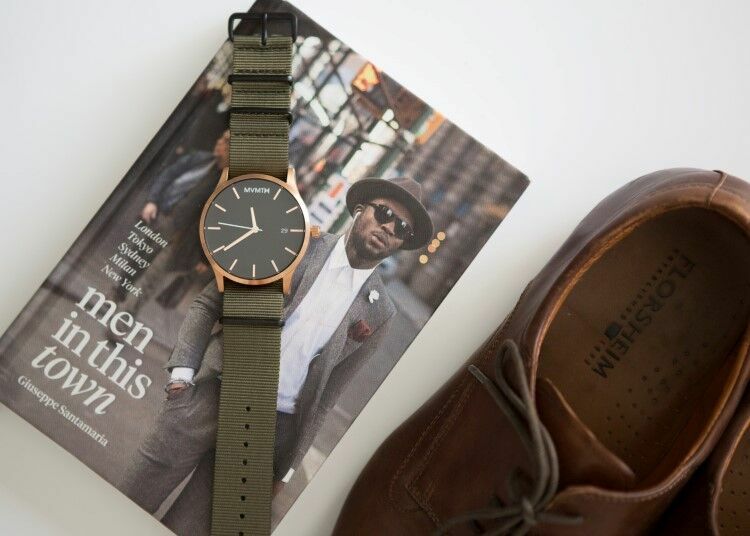 And what better way than with a khaki watch strap? 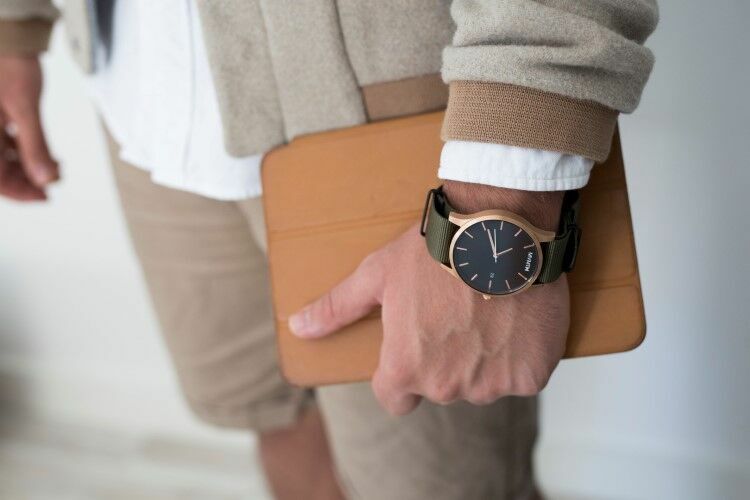 A versatile shade that goes well with everything, khaki suits a number of styles making it the perfect accessory colour. Whether the look you’re going for is safari chic, street or utility, khaki is a great option for all. Meet our ballistic nylon G10 “NATO Strap”. A high quality handwoven ballistic nylon for maximum durability and abrasion resistance, this strap is built to last. Corrosion resistant 316L stainless steel buckles and holders that are stiched not glued also ensure your watch is firmly strapped to your wrist and isn’t going anywhere. It’s easy slip-through installation allows you to swap straps in seconds and suits most watches. It suits wrists up to 250 mm in circumference and is available five different widths: 16mm, 18mm, 22mm, 24mm and 26mm. It also has 13 heat-sealed buckle holes to adjust to any wrist size. It’s also fully waterproof and washable. And if you’re worried you’ll lose that striking khaki shade after multiple washes, fear not, as quality dyes ensure colour vitality. That means you can always put your best hand forward with your immaculate khaki watch strap from Watch Straps Australia! Ready to step out in style? 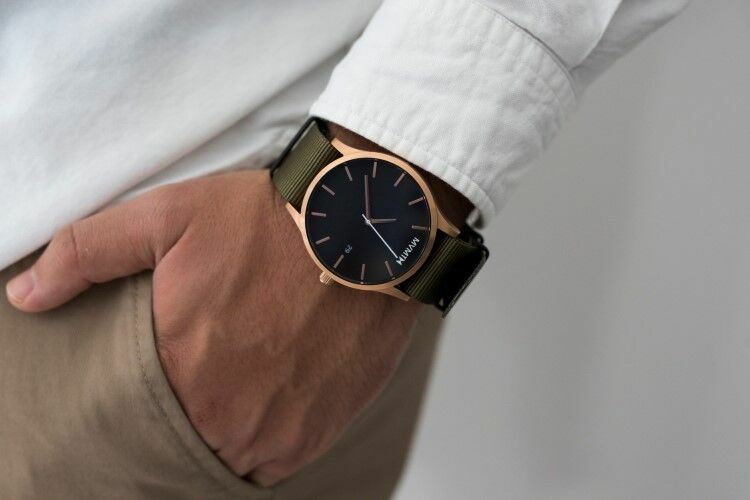 Our khaki green NATO straps are available with silver and black PVD hardware.